Project Tofu is about finding better feeding subjects for SCP's 082, 682, and 939. Our goal is to eliminate the D-Class aspect of this, where we could get a better source of food instead of using D-Class when it could be used for researching or cleaning other items. Some of these new food subjects that have been proposed and are being looked and considered currently include a chicken, pig, cow, horse, and a monkey. If you have any more ideas, be sure to suggest them to team lead. Each member of the Team will choose one SCP to focus on primarily for the Project. They will then proceed to compile all the tests they've done on this SCP into one thread, adding more logs as they do more tests on that SCP. Those joining may request the SCP they wish to focus on after being accepted and added to the Roster. BY JOINING PROJECT TOFU YOU MUST STILL ABIDE BY THE TESTING REQUIREMENTS. I would like to lead this project. This will be quite useful and a much more sufficent way to supply food than throwing living people in for food. What a waste. I would like to join the project to find a better feeding solution for 939. I am allowing all members to test on the available SCPs. So if you have test ideas for 939 and 682, you may do both. Scratch that, since we currently have no logs in, focus on a specific SCP, so Dr. Tree, stick with 939. Once we get a lot of logs in, then I'll expand it to where everyone can test on every available SCP. The purpose of this test was to see if 939's hunger is satisfied by eating a variety of raw meat. If 939's hunger is satisfied, then a new soruce of food is discovered to feed to 939 instead of D-class. -SID assist Dr. Checks by carrying the meat crates from R-Wing to 939's CC. - Dr. Checks stays in the Observation Deck of 939's CC, along with the rest of the SID, only two personnel will place the meat crates in the CC. - Dr. Checks turns on the gas. - Two personnel dump the meat in a pile in 939's CC. - SID ready tranqs in case of a 939 breach. SCP-939 enjoyed the pile of raw meat, they ate it all. However, they stil seemed agitated, as if their hunger was still not satisfied. SCP-939 breached in an attempt to get mor food but were quickly tranqed by the quickness of the SID and placed back in their CC. SCP-939 can indeed eat other sources of meat instead of human meat. However, their hunger will not be satisfied. At first I thought it was successful until 939 breached. They ate all that meat, yet they were still hungry. I'm hypothesising that maybe it's their enjoyment to hunting down prey. Since they are predatory creatues and like to hunt down their prey. A challenge of sorts. I understand that Dr. Tree is doing 939 testing, but he wanted me to do one first so he can lead by example. If 939 accepts the cows and it satisfies their hunger, then a new feeding source has been discovered. - Gas will be turned on. - The cages will be opened, causing the cows to enter the CC. - Tranquilizers will be ready for use. Upon the cows entering, they instantly passed out due to the gas. When the gas was turned off, the cows stood up and the 939s began to examine the cows. Deeming them prey, 939 attacked the cows, killing the cows. They feasted on the cows for quite some time. It was a gorey sight, blood and feces splattered all over the Observation Window. After those minutes and minutes of gorey feasting, 939 finished and seemed quite satisfied. No breaches occured, they didn't look aggitated, proving the cows worked. Cows can be a new feeding source for 939. Cows can now be considered as a food source for 939s instead of D-class. Though more tests will be done to find a less larger animal to use. This is so it can be easily transported to 939's CC without having the hassel of pushing a long and large cage there. Requesting permission to test on 682 instead of 939. I will be conducting a 682 test tomorrow at 4:30 P.M (PST). Will yo be able to attend Dr.Checks? I will be feeding 682 three buckets of meat. The first being beef, the second bein chicken and the third will be pork. I will then ask him if he is satisfied with the food, If he is not satisfied then I suggest we just buy living animals and feed them to him. If he is satisfied then I will ask which meat he liked the most, we will then use that meat as a food source for 682. Alright, so it will deffinitley not be satisfied, and if it's not satisfied, it'll breach. I suggest you order live animals from Logistics. The reason for this is because 682 hates all living organisms. Hence, why we give it D-class. If we knew it didn't care about what it ate we would be feeding it processed meat, sadly that is not the case. I will not be doing the 939 meat skeleton test till Saturday or Sunday as I will not be on area today and for part of Saturday due to an unexpected illness. Tomorrow At 4 pm (PST) I will be getting my 'Talking Meat' test ready just to let you know. Alright, I'll be on area by then. Also, just a heads up to all researchers currently in the project. //( @JosephD53 @Harris Press) Just a recap of the previous research meeting: It is highly unlikely we will be finding a dominant feeding source for SCP-082 to replace D-class with. However, if you do have an idea like Dr. Rodriguez does in an attempt to find a more resourceful feeding source for 082, then do try it. But currently, I will like us to focus on finding "side dishes" to keep SCP-082 from breaching for D-class so we all can feel like we actually did something with this picky-eater. I will explain more about these "side dishes" once I am on area. However, if we are unable to find any other food supplement for SCP-082 I will be dropping SCP-082 from the project. 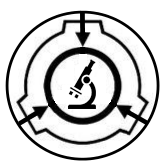 This doesn't mean that you should drop everything you're doing and throw tests at SCP-082, it is simply just a heads up, continue working on the test(s) you have in mind for this project. Also, if SCP-082 is dropped, the project should be completed soon once we get our desired shipments from Logistics. Overall, though we haven't logged much testing, we've done an amazing job with this project, and thank you for participating. Now get back to testing, we still have work to do.